MALVERN, Pa.--(BUSINESS WIRE)--Momentum Dynamics Corporation’s CEO, Andy Daga, released several bold statements about the future of electric vehicles, and the commercialization of wireless power for recharging these vehicles. 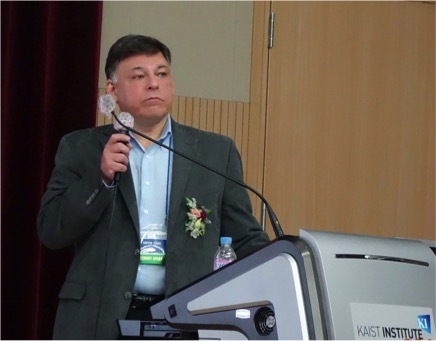 Mr. Daga was a keynote speaker at the Institute of Electrical and Electronics Engineers (IEEE)- Power Electronics Society (PELS) Conference in Daejeon, Republic of Korea. Momentum Dynamics is a leading supplier of high-power wireless chargers for electric vehicles. Range anxiety is widely recognized as the most important impediment to EV sales. If this problem can be overcome, EVs are poised to capture a significant fraction of worldwide automobile production in the coming years. Citing a recent in-depth analysis by Goldman Sachs, this number could exceed to 25% of the projected 120 million vehicles to be sold in 2025. Daga believes that 25 kW (or 25,000 watts) wireless chargers will be the norm for all EVs within 5 years, with commercialization beginning in 2016. The 2016 IEEE PELS Conference will be hosted by Oak Ridge National Laboratory in Knoxville, Tennessee, July 22-24.